THE Scottish Beef Association has issued a dramatic plea to Richard Lochhead and urged him to "have the balls" to stand up for the industry in the final Scottish CAP package. In a no-holds-barred statement SBA chairman Scott Henderson has also called on beef producers to continue to make their voices heard in order to secure a workable future for the Scotch Beef brand. The comments come off the back of a frustrating week of meetings in the run up to the announcement of the Scottish suite of measures later this month. Mr Henderson said: "It was clear from our meeting with the Cabinet Secretary that he was still sitting on the fence and the longer the decision takes the more nervous we become. 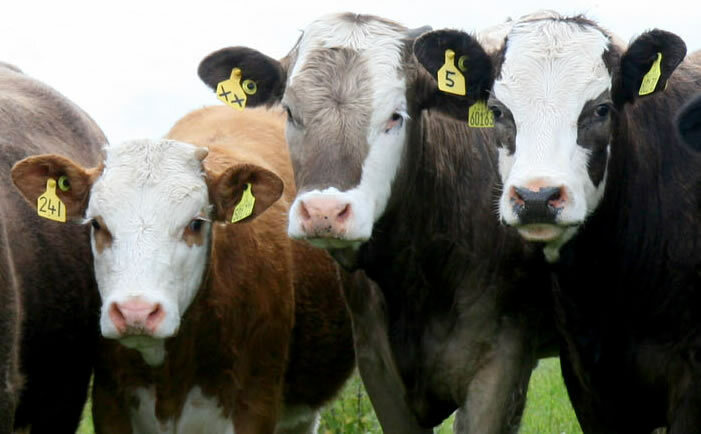 "Yes Lochhead is trying to do what is best for Scottish farming as a whole but it has become increasingly apparent this round of CAP in Scotland is most definitely a damage limitation exercise for the beef sector. "All government modelling work shows the sector worse off in terms of support, no matter the measures used. "Beef producers, using the government's own figures, are set to lose an average of 25 per cent in Dumfries & Galloway and the North East, the two principle beef producing regions in Scotland. "However there are still measures available which would be less damaging, Lochhead just needs the 'balls' to use them. "If he doesn't he may well be remembered as the man who finished Scotch Beef. "Decisions are imminent if only because we are approaching the EU deadline of August 1 for member states to notify the commission of their plans." The Association has outlined what they deem the best way forward for the beef sector given the options still on the table. Mr Henderson added: "It is crucial we get the full eight per cent of coupled payments for calves of 75 per cent beef genetics along with a robust minimum activity test to exclude claimants who produce nothing. "Part of the activity test is a meaningful minimum stocking rate in the RGR, at the very least 0.15LU/ha. "Limiting the RGR budget to no more than 10 per cent of the total will free up money to top up the area payments on improved ground. "The SBA believe producers should be given sufficient time to adjust to the area payments regime by using "tunnel convergence", such is the scale of SFP reductions. "We would urge everyone with an interest in safeguarding the future of our sector to beat a path to their MSP's door to make them aware of the issue. "It is time for us all to act." For more information contact Scott Henderson on 07850 117377.